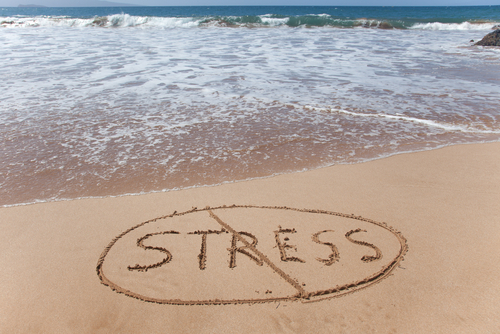 Stress is a state of mental or emotional strain or tension resulting from adverse or demanding circumstances. Knowing about how to manage stress can help us understand how to achieve higher levels of wellness. Sources of stress can be environmental, social, physiological and cognitive stressors. If a client begins to engage in relaxation activities on a regular basis, he will come into greater self- awareness and may notice symptoms that he had not particularly focused on before. Our reaction to stressors can include a wide array of physical, emotional, cognitive and behavioural responses, many of which can also be characteristic of other physical or mental disorders. Failing to set aside times for relaxation through activities such as hobbies, art, music or reading. We can’t avoid all stress, nor would we want to, but we need to know how to counteract the stress response by producing its opposite: the relaxation response. The state of deep rest stops the generation of the stress hormones and brings body and mind back into a state of equilibrium. Orientation to the body, including techniques that focus on the body w attention to each body part, such as yoga.Mental/ Emotional focus including visualisation, guided imagery, many mindfulness techniques, and different forms of mediation. Combination techniques including auto genius, relaxation breathing and techniques that issue from particular disciplines, such as techniques belonging to a particular religion or school of psychology. When practised relaxation approaches regularly, it will immeasurably help reverse the stress response.